The bill from White of Hillister would allow whichever government has jurisdiction to alter any monuments — if they are less than 20 years old. City or county monuments that have been up between 20 and 40 years could only be altered, relocated or destroyed if voters approve. Changes to state monument that have been up between 20 and 40 years would require a majority vote of the Legislature. And monuments erected more than 40 years ago couldn't be altered, moved, relocated, renamed or destroyed, the lawmaker said. 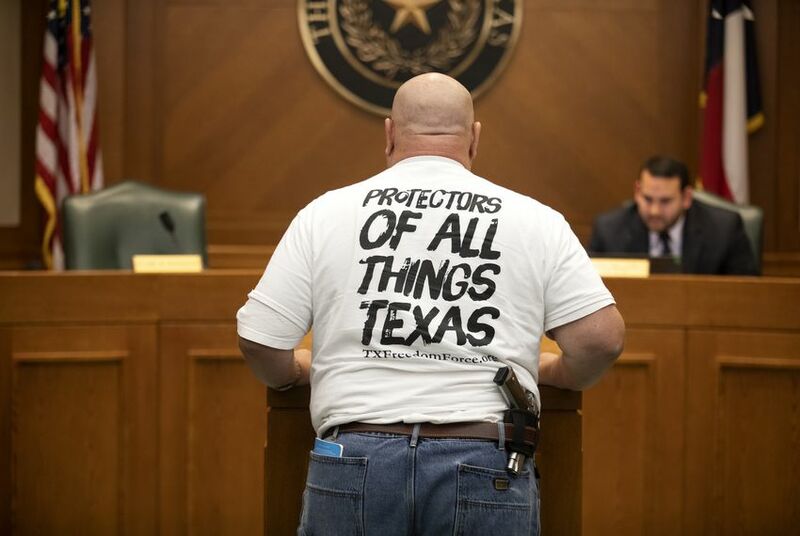 Tuesday's debate came months after a state board that oversees the Texas Capitol grounds voted unanimously to remove a controversial Confederate plaque that falsely asserted the Civil War was “not a rebellion, nor was its underlying cause to sustain slavery.” It also came on the heels of efforts by a conservative nonprofit known as the Conservative Response Team to press state leaders to move legislation — including White's — protecting Confederate monuments while cities across the state grapple with whether to take such markers down. After more than an hour of testimony, White's bill was left pending before the committee.